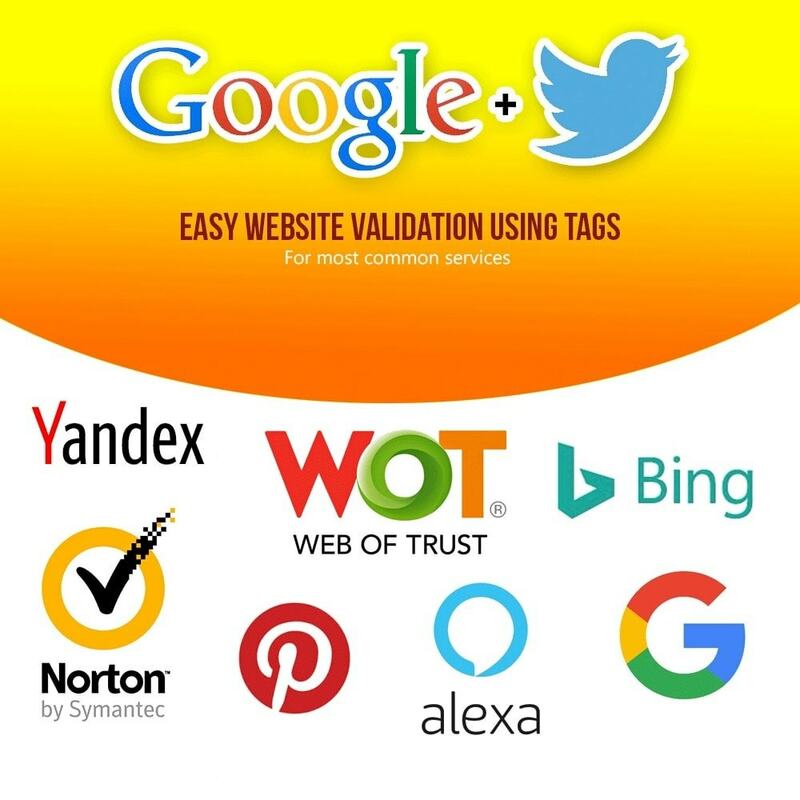 Six modules in one: Google Rich Cards, Twitter Cards, BreadCrumbs, HrefLang tags, website validation and DNS prefect/host preconnect. So don't go just for one feature and get the whole pack for the same price. 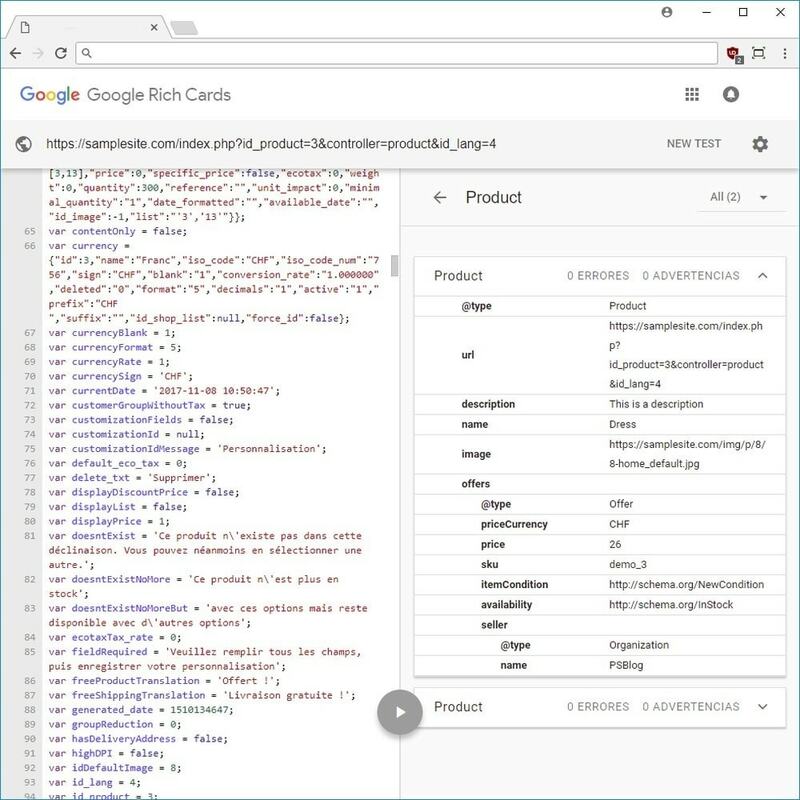 Product structured data in the new LD+JSON format, including: link, name, description, image, ratings, offers, EAN13, GTIN13, SKU, price, condition, availability, limited time offer, manufacturer and seller information. 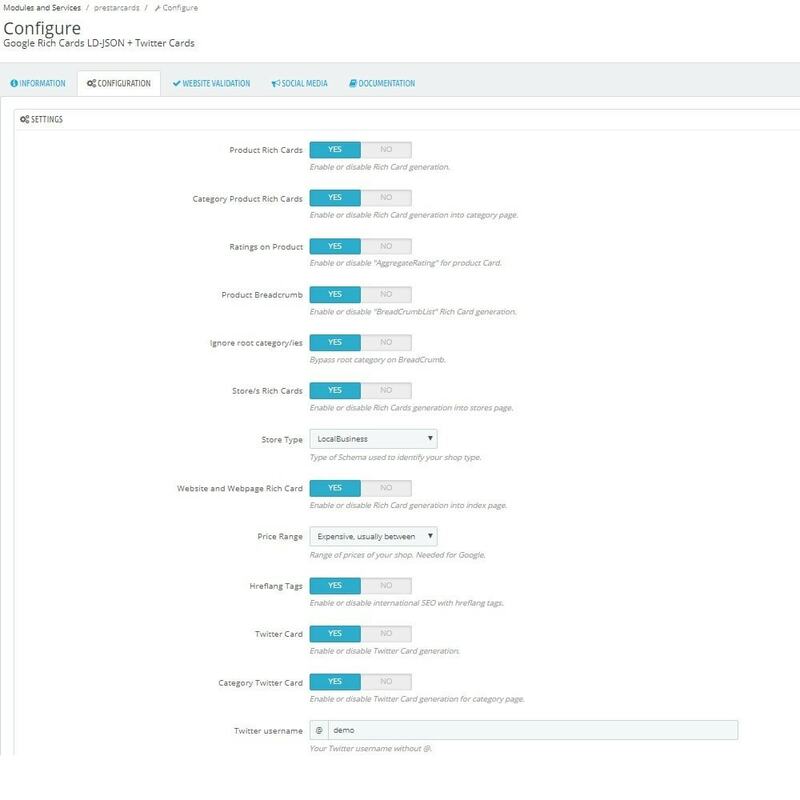 Generation for product view and categories view. 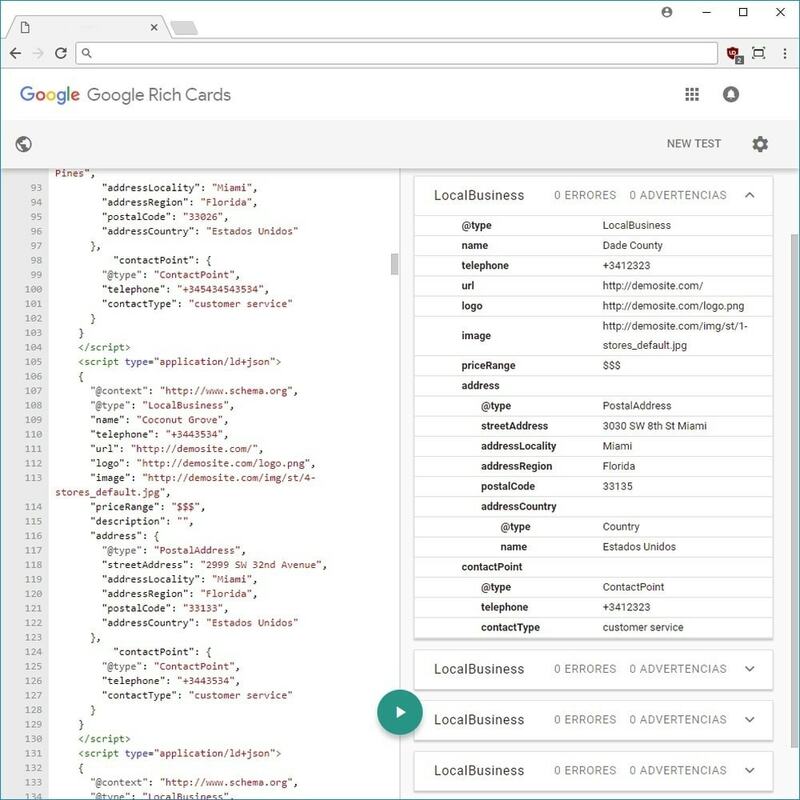 Store/s structured data in the new LD+JSON format, including: name, phone, url, image, price range, description, address, geolocation, map and contact information. AggregateRating with support for modules "productcomments" and "gnsippetsreview"